Kanbanize is now available in three languages: English, German, Spanish and Portuguese. 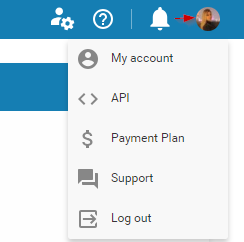 Step 1: Click your Avatar at the top right side of your board interface -> select My Account. 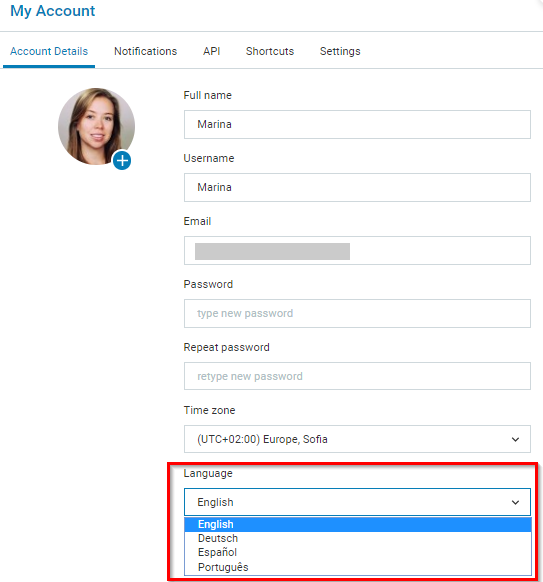 Step 2: In the Account Details tab, please select the language you prefer from the drop-down menu and Save the changes you made. Forgot your password? How to reset it?